Did you know that 40 to 45% of American adults make one or more resolutions each year? Most New Year's resolutions are about weight loss, exercise, and stopping smoking. And more than half of people who make resolutions have given up by summer. I don't know how many people make resolutions about public speaking, but here's how public speaking might tie in with your resolutions next year, and why coaching might be the perfect solution! 1. Resolution: Advance your career. 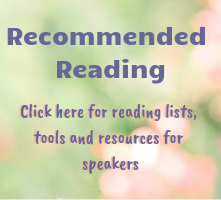 Building public speaking skills can help build your career: you might wish to speak up more at work, develop leadership and communication skills, or feel more confident when networking, running staff meetings, giving reports, and training new employees. Building public speaking skills and gaining confidence in your abilities can help in all these areas and more! Nonprofit organizations are always on the lookout for volunteers who make good advocates and can speak clearly and concisely about the organization's mission, goals, and programs. Outreach is a critical part of nonprofits' work, and the more volunteers who can provide outreach, the better! Public speaking skills can add to your work as a volunteer, and make you a more valuable asset for just about any organization. 3. Resolution: Take more risks and try new things. What better time to take on your fear of public speaking than now? 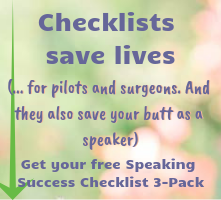 Some people want to jump out of an airplane, but strong public speaking skills are infinitely more practical and applicable to our lives - for most of us! 4. Resolution: Start your own business or grow the one you've started. Entrepreneurs, you can build your business by including public speaking as one of your marketing efforts. In addition, improving your skills will help you feel more confident when approaching buyers, negotiating with vendors, speaking to the media, dealing with your customers, and promoting your business in just about any setting. Still wondering why you should consider public speaking coaching? Visit my coaching page to learn more.